We have selected a variety of delicious chocolates to satisfy even the most demanding sweet tooth. 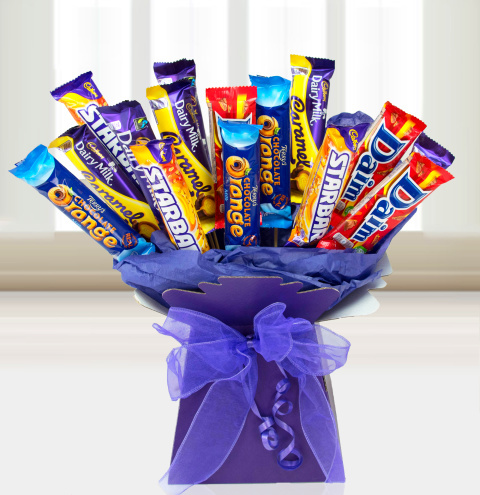 Send this chocolate bouquet for any occasion and show your friend or loved one how much you care! When you want the perfect gift to grab their attention and make their taste buds sing, look no further than our Chocolate Galore bouquet.